“It’s about time Birmingham has something new,” one of our beta testers told us after using Shipt Groceries for the first time. At Shipt, what’s new is what we do. We’re trying to create grocery shopping of the future. But “new” is emerging more and more in conversations about Birmingham. As the Magic City continues to grow and change, new businesses and ideas are springing up on every avenue. Likewise, as seasons change, new fresh produce is becoming available at your grocery store. Though stores like Publix are already starting to sell strawberries, peaches, and watermelon, they won’t reach their ultimate juicy goodness for another few weeks. In May, those fruits will be at the peak of ripeness. Good thing you’ll have a Shipt Shopper to select and deliver the perfect produce. But once they’re on your counter, what do you do with them? While every southerner has hacked up their share watermelons, most are doing it wrong. There’s a genius method of quickly cutting watermelon into manageable bite-sized cubes or slices. In such close proximity to Chilton County, peaches are a big deal for us. In case you want to die happy, here’s the easiest (and most delicious) peaches and cream recipe ever. Enough said, right? 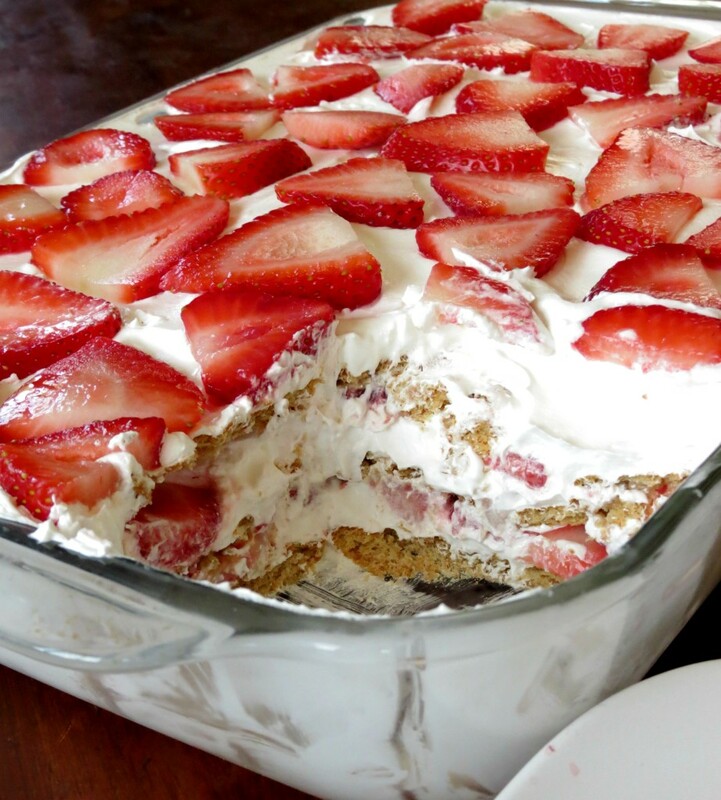 What better way to say hello to summer than Strawberry Icebox Cake? Get your fresh produce delivered. Request an invite to Shipt Grocery Delivery.